The First Presbyterian Church of Ste. Genevieve celebrates the gifts of all as we share the message of the love and forgiveness of Jesus Christ. We believe the Holy Spirit guides and sustains us as we proclaim God's word and serve the needs of others. On June 12, 1902, a group of ladies met at the home of Charles H. Biel to organize a Sunday School. Rev. W.W. Killough led the first monthly worship service on June 12, 1902. A. H. Chadwell was the first Sunday School Superintendent. On October 12, 1902 the 12 member church became organized by a commission of the Potosi Presbytery. A building lot was purchased in 1902 for $300 and our current sanctuary building was erected in 1904 for $2,300, with the largest part of the debt paid by the Ladies Aid Society. The Presbytery provided a gift of $400. The pulpit and chairs were donated by Cape Girardeau Presbyterian Church. One hundred chairs were purchased from the 1904 St. Louis World's Fair, arriving by river boat. Several years later the Willing Workers, a group of 8 young women purchased. 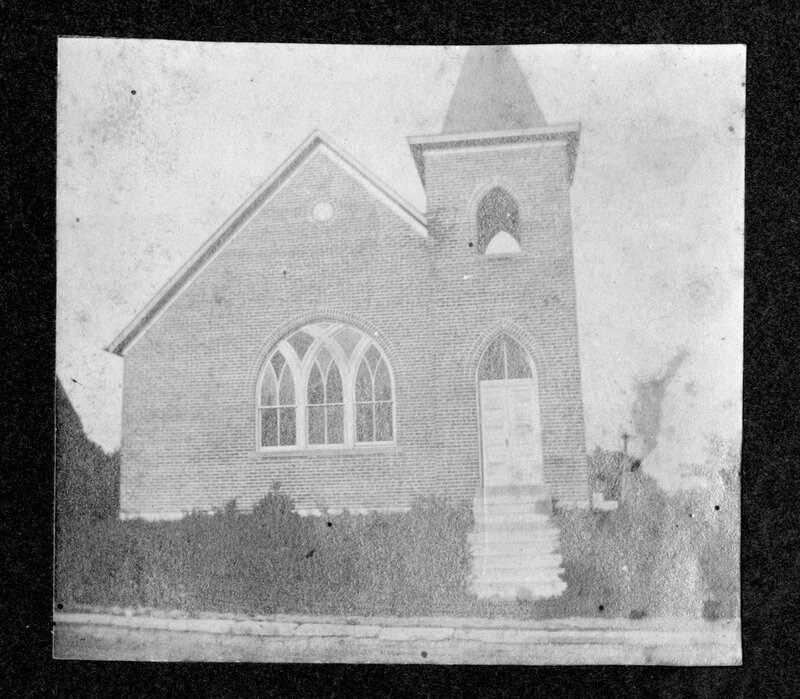 In 1930 a basement was added to the church providing a Sunday School room. An annex was built in 1954 giving more classroom space, and a new kitchen. The sanctuary was renovated in 1961 and air conditioning installed in 1968. The Great Flood of 1993 threatened to destroy the church, but with the diligence of volunteers, flood damage was minimal, limited to only the basement. The First Presbyterian Church of Sainte Genevieve continues to serve the Lord and our community with the same enthusiasm as the founding women whose vision built a church. Join us for Sunday School at 9:30 a.m. followed by Coffee and fellowship at 10:20 a.m.
Worship begins at 10:45 a.m.
Women's Circle Groups; Lydia, Genevieve, and Anna's Circles meet at various times and support various missions. Please check the calendar for meeting times. Presbyterian Women--Please check back for more information about this program. The Youth and Children's Group meets Sunday at 1:00 pm. (Please check for meeting dates on the calendar). Youth and Children participate in worship, enjoy lock-ins and a live nativity at Christmas. Hand Chimes is a group led by Marcia Schaefer and only requires that you can count to play. We'd love to have you join us. Chimes practice is on Wednesday at 6:15 p.m.
Chancel Choir meets on Wednesday evenings following Hand Chimes and is led by Cindy Fieg. Helping Hands Food Pantry is open the first through fourth Wednesday afternoons at 1:00 p.m. Open to City of Ste. Genevieve residents. A Blessing Box is located outside of the church with food items there for anyone in need. Take what you need and feel free to leave something for someone else!